This water table used to have legs. 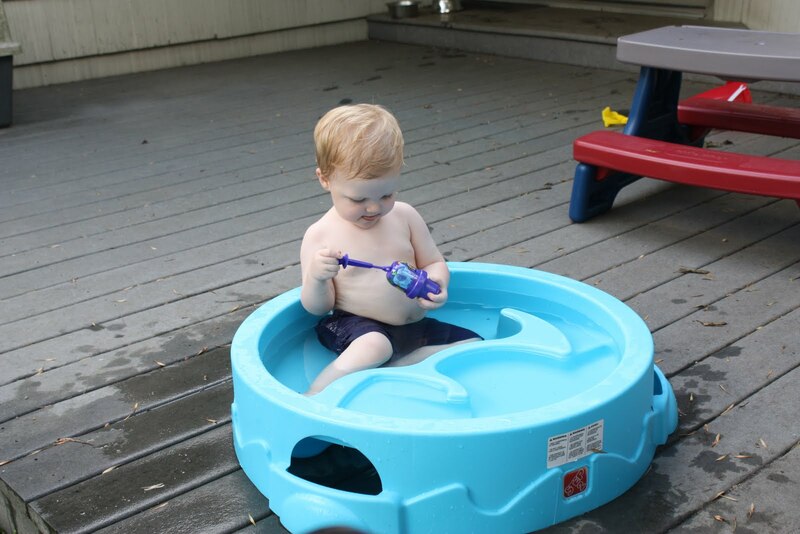 This water table had legs until a baby figured out he could climb into it and pretend it was a pool. A pool that was about a foot off the ground. A pool that was not unlike the other pool that is already on the ground out in the yard. This baby used to have pants. 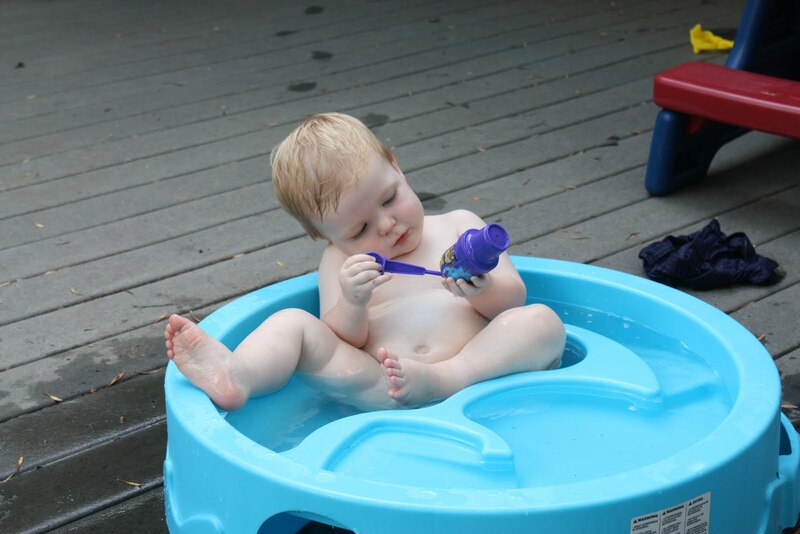 This baby had pants until his mom realized he was not wearing a swim diaper and was taking all the water out of the pool with him into his diaper.